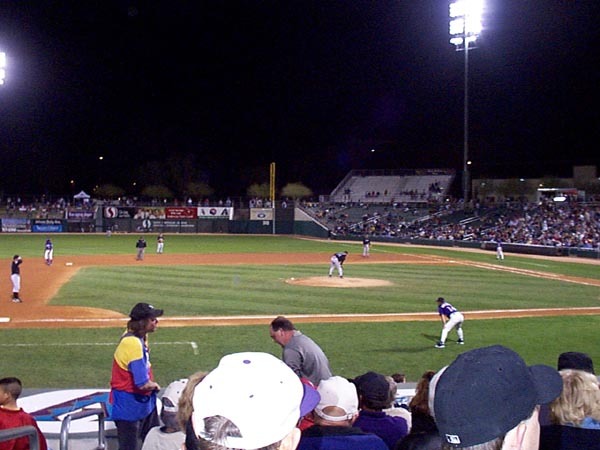 Tucson Electric Park, also known as the Kino Sports Complex, is a great place to catch a spring training game, and the park is considered to be not only one of Arizona's best stadiums, but one of the best stadiums in all of spring training. The concourse goes all the way around the stadium, so you can have fun and get a great look at the entire stadium before the game. Like most stadiums, TEP features a grassy outfield concourse. Families love to watch games from here, and it is actually a pretty good place to see the game from. From the outfield lawn, fans can look down and watch pitchers warm up in the bullpen. Before the game, lots of fans like to hang around here and try to catch batting practice balls. The stadium is clean, the field is well cut, and this is an absolutely beautiful place to catch a game. 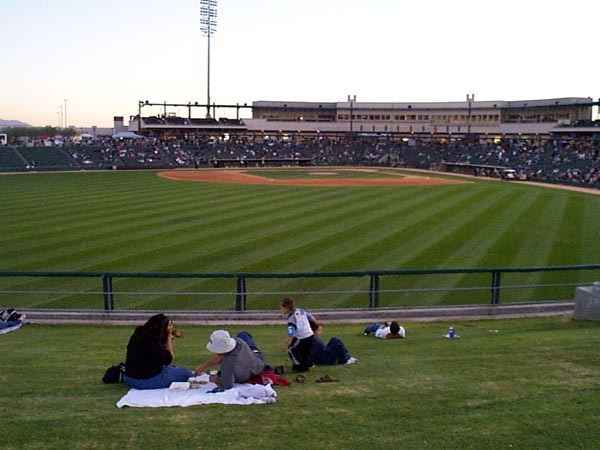 You should definitely visit the stadium that the Tucson Citizen has labelled "The Jewel of the Desert." Many animated concession vendors will roam the stadium throughout the game. Remember, event hough you typically think of Arizona as being hot, night games can get pretty cool. 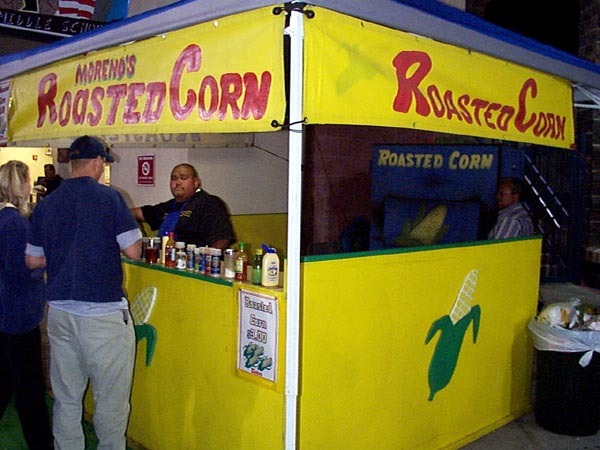 The roasted corn stand is located at the end of third base side. This is unique concession that I had never seen at a ball game. Delicious and inexpensive, you'll want to try this out. 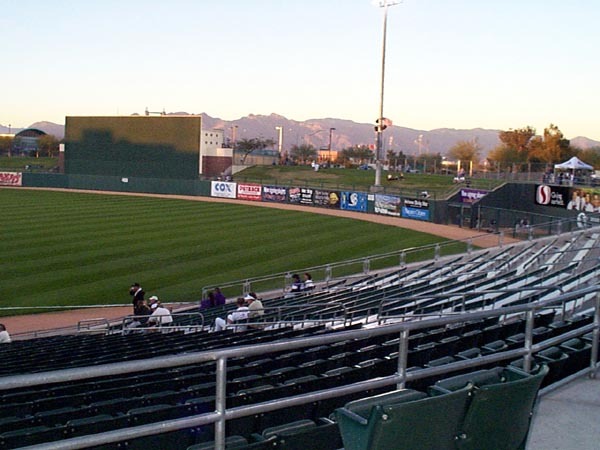 At most Cactus League stadiums, you'll be able to see the beautiful Arizona landscape behind the outfield wall. This is the lawn area where families can watch the game at a reasonable price. Autograph tip: Your best bet is to get there early and get autographs along the baselines. Also, the Diamondbacks on the left-field line coming out of their clubhouse or the Sox in the parking lot near their clubhouse.